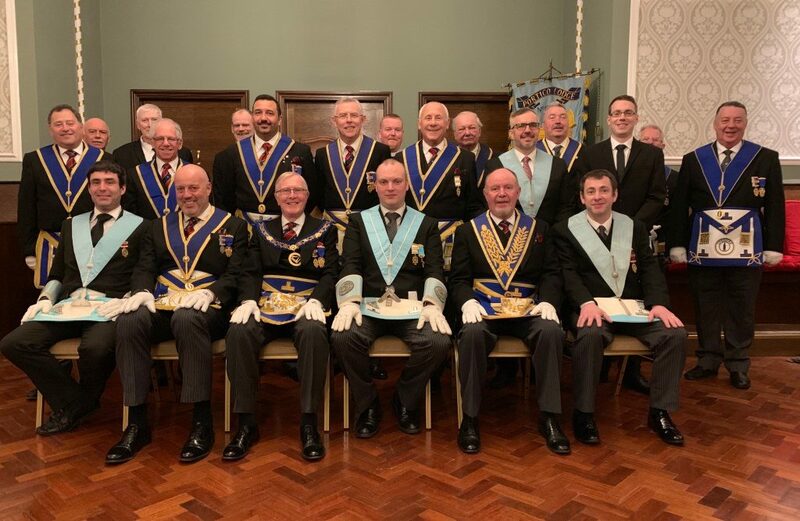 On Thursday 28 February 2019, Portico Lodge No 6070 were delighted to welcome WBro Chris Welton, Assistant Provincial Grand Master for the Manchester Districts, accompanied by a Delegation from the Manchester Districts. 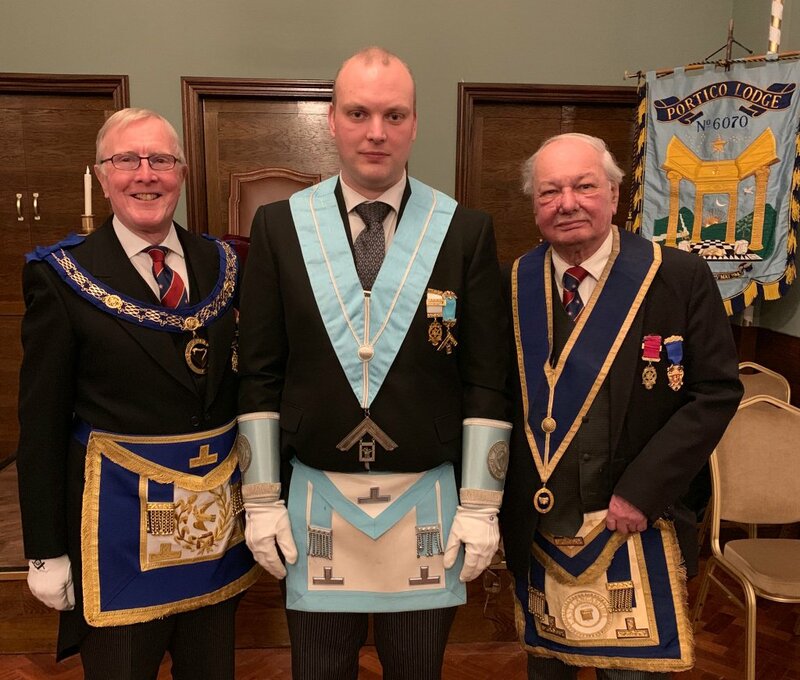 Once the lodge had been opened by the evening’s Acting Worshipful Master, WBro Peter Clarke, there was a report and WBro Welton demanded admission. Once he and his delegation had entered the lodge and assumed their seats, WBro Clarke was pleased to offer the gavel to the Assistant Provincial Grand Master. On this occasion, he declined his kind offer but took the opportunity to introduce the members of his visiting party. They included WBro Paul O’Carroll, City Derby District Chairman; WBro Chris Prax, City Sykes District Chairman; WBro Mel Rosenthal, City Derby District Secretary; WBro Michael Bartle, City Sykes District Secretary; WBro Dean and WBro Andrew Greenhalgh, both Royal Arch District Officers; WBro Richard Zoltie, Area Communications Officer and WBro Chris Armstrong, Assistant Communications Officer. Having completed his introductions, the brethren of the lodge warmly welcomed their guests. The evening’s main event was an Explanation of the Third Degree Traditional History by a Past Master of the lodge, WBro Bernard Clough. His delivery was superb and he added his usual blend of humour along the way. The lodge was then very pleased to present a cheque for £200 to their acting Senior Warden, Bro Mark Gough, to help his Scout Group’s fund provide assistance to their more disadvantaged members. Bro Gough thanked Portico Lodge and explained that their donation would help fund scout uniforms and activities in the Stockport area. The business of the lodge being concluded, the Worshipful Master closed the lodge and the members of Portico Lodge and the guests enjoyed a very memorable Social Board together.